For those who are in an unhealthy or difficult relationship, your partner may be the cause of your issues. In many cases, the individual can be narcissistic, which can have a significant impact on your well-being and state of mind. You may have developed insecurities in the relationship or feel emotionally abused by the individual. Some of the most common signs of a narcissistic partner include a superiority or an entitlement that they carry. They may also have a lack of empathy and have a need to control or always strive for perfectionism, which can make the relationship unbalanced and can lead to unhappiness. If you’re ready to leave the relationship, there are a few critical steps to take. If your partner has a narcissistic personality disorder, you may be used to not feeling respected or allowing them to take control of different situations. They may be the one who makes decisions in the relationship or determines your future together. When you break up with your partner, you can expect them to do what they can to change your mind or convince you that you’re making the wrong decision. You’ll need to establish boundaries to protect yourself and prevent them from convincing you to go back to the relationship. In some cases, you may need to block their phone number or avoid seeing them until you no longer have feelings for them or aren’t tempted to get back together. Zero contact is important in the first few months or year after you break up because you’re in a vulnerable position where you can easily be lured back in with validation from your ex-partner. You’ll need to take on the mental state of pretending that they never existed and spend time with family members or friends to stay distracted. You may need to say no to them and stand your ground to ensure that you aren’t prone to returning. Make it a point to look towards the future and know that something better is coming to ensure that you don’t feel like the individual is what you deserve. Ending a relationship with a narcissistic partner can be emotionally challenging and can be difficult to move on from once you break up with the individual. Allow yourself to process your feelings to ensure that you can heal and stand firm in your decision and avoid anxiety or stress during the transition. You’ll also need to shift your thoughts and stop thinking about the abuse that you endured, which can make it easy to live in the past. Instead, think about what you want for your future and begin making goals that allow you to look forward to meeting new people or returning to your hobbies or passions. Without processing your feelings, it can be easy to return to the relationship or find another narcissistic partner to date. Building a social network of friends is necessary to avoid feeling alone or isolated after you end your relationship. Make it a point to stay busy and have fun, which will allow you to think less about your ex and enjoy your time with other people. You may want to join a gym or find dance classes to take where you’ll have an easier time meeting other people and forming relationships with people who treat you better. Making connections online in Facebook groups or online forums will also prove to be effective to ensure that you can find people in the local area. 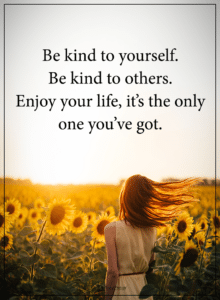 Being kind to yourself is necessary to break free from your partner if they suffer from a narcissistic personality disorder. You’ll need to forgive yourself for allowing them to treat you poorly and for remaining in the relationship. Practice self-talk, which will build yourself up and can allow you to have more confidence in who you are as an individual. Allow it to be a learning lesson that teaches you how to choose healthier relationships and to avoid being controlled or emotionally abused again. Although honesty is important when you’re in a relationship with a healthy individual, breaking up with a narcissist will require a different approach to prevent them from becoming defensive or manipulative. Act like the decision is best for the both of you and don’t make it a big deal. Avoid assigning blame to prevent it from turning into conflict. Breaking up with a narcissistic is never an easy process but can allow you to break free of the relationship with the right tips followed. By standing your ground and understanding that you deserve more, it’ll be easier to move on with your life and avoid looking back.